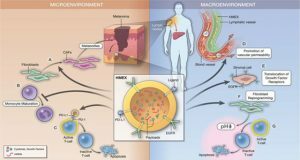 Stem cells are known to maintain stemness at least in part through secreted factors that promote stem-like phenotypes in resident cells. 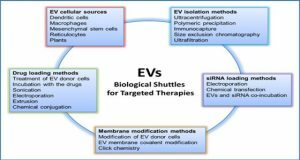 Accumulating evidence has clarified that stem cells release nano-vesicles, known as exosomes, which may serve as mediators of cell-to-cell communication and may potentially transmit stem cell phenotypes to recipient cells, facilitating stem cell maintenance, differentiation, self-renewal, and repair. 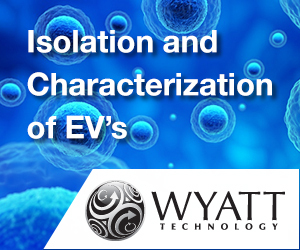 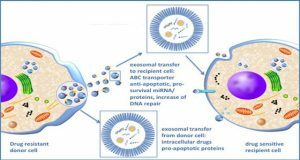 It has become apparent that stem cell-derived exosomes mediate interactions among stromal elements, promote genetic instability in recipient cells, and induce malignant transformation. 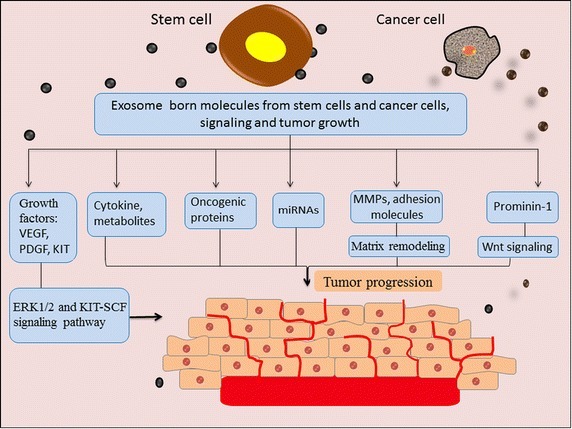 This review discusses the potential of stem cell-derived exosomes in the context of stromal remodeling and their ability to generate cancer-initiating cells in a tumor niche by inducing morphologic and functional differentiation of fibroblasts into tumor-initiating fibroblasts. 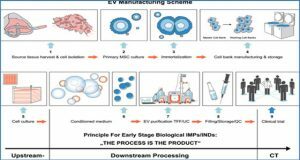 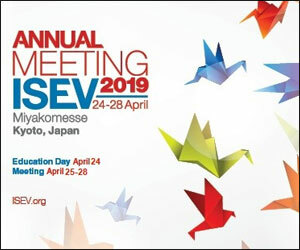 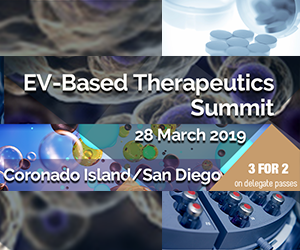 In addition, the immunosuppressive potential of stem cell-derived exosomes in cancer immunotherapy and their prospective applications in cell-free therapies in future translational medicine is discussed. 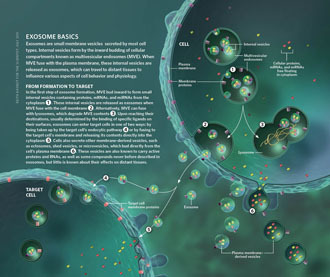 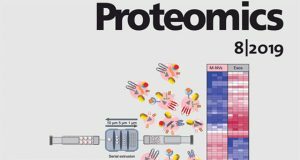 Stem cell-derived exosomes and tumor progression: exosomes derived from stem cells or cancer cells express a variety of molecules, comprising oncogenic microRNAs (miRNAs) and proteins, growth factors, and adhesion molecules that exhibit pro-metastatic and pro-angiogenic activities through activating signaling pathways. 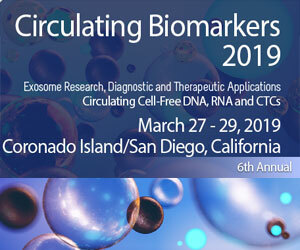 VEGF vascular endothelial growth factor, PDGF platelet-derived growth factor, KIT mast/stem cell growth factor receptor, MMPs matrix metalloproteinases, ERK1/2 extracellular signal-regulated kinase 1/2, SCF stem cell factor.